Connectors in Bizagi are portable modules that allow you to extend functionality by integrating with other systems or applications. 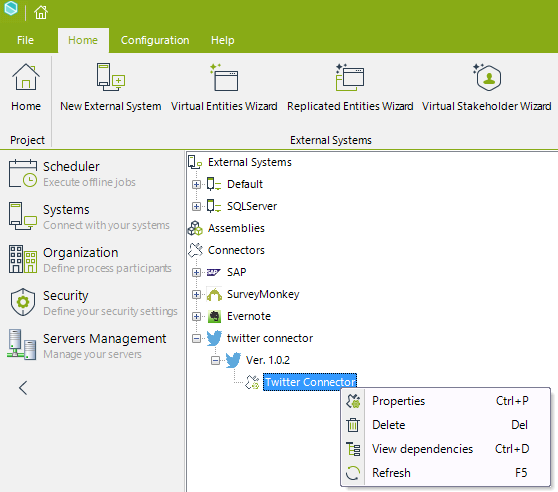 Bizagi lets you to manage the connectors installed in your project, for a testing or production environment. 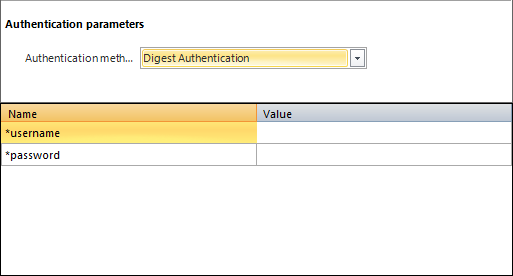 You can manage the values used in their connection (authentication parameters), as described at External systems administration. 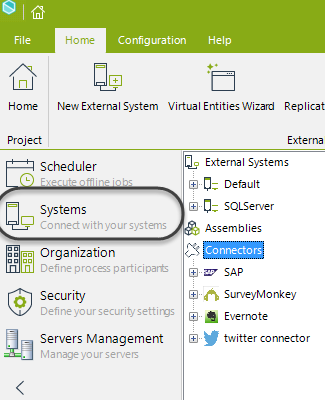 Bizagi presents these integration features for connectivity with other systems, which are already included in every project: SAP Connector and its generic Web services connector. These two connectors are managed using the options in the Management Console for their specific use. Administration tasks which you can carry out for your installed connectors are changing values for authentication parameters. To do so, click the External Systems module and locate Connectors. You can edit values such as the description of the connector, and its global attributes, it presents a set of these. The parameters used by each connector depend on what that connector does and uses (especially if it is of the Custom type). You need to know the credentials involved in its use before committing any changes. 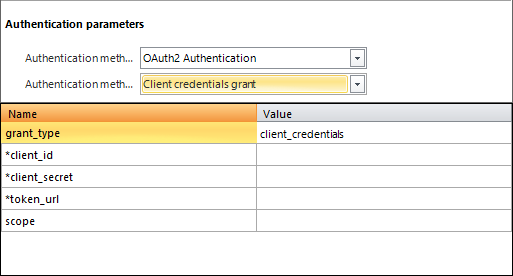 The following parameters illustrate parameters typically used by supported authentication methods in Assisted REST connectors (Basic, Digest, OAuth). 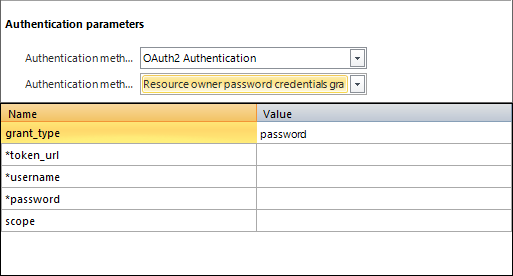 OAuth2 authentications use different parameters according to its authentication sub-type.